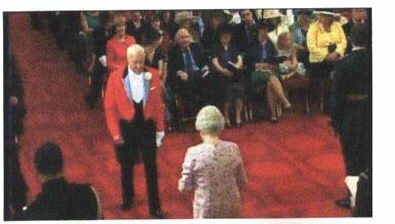 Yes, in the photo, that is the back of Queen Elizabeth! As of that day, Norman is an MBE, Member of the British Empire. Then again, I always called him "Sir." Very, very good man...a prince.